Pls click on HUG box below if you like this book cover! Most of the English-translated Japanese Novels I have read so far are filled with mysticism, romanticism and of course, a rich vibe of Japanese neo-culture. 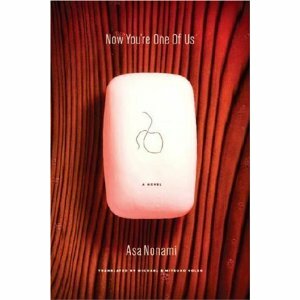 Nonami Asa's Now You're One of Us novel is my first taste of Japanese, thriller If I may say. I really liked the novel because it left me hanging page after page. The narration had this very solid sense of what is happening and what can be expected yet the novel leaves the reader expecting different scenes and events ahead of each chapter. I really liked how the book invited me to the protagonist's psyche, and how as the story evolved and the character got deeper into what is going on around her, I too, as the reader, got so involved with the story's gradual revelation. I recommend the book for readers who would like to go beyond just reading a novel. Now You're One of Us is easily an experience! Now You're One of Us is available at Fully Booked. For inquiries, visit their website here.